War and Efficiency: Unintended Consequences? A Facebook friend posted a link to a news story about the use of drones (unmanned aircraft) in warfare, War By Remote Control: Drones Make It Easy. Warfare used to be a bloody, up close affair. Men killed other men. Death was instantaneous for many and serious wounds eventually resulted in death for most others. Now, war is too much like a video game. We have improved our methods of killing; invented weapons that can do maximum damage to other human beings from a great physical distance and left us able to distance ourselves emotionally from an enemy that is a blip on a screen. We can kill people whose faces we never see; we no longer have to wait until we see the whites of their eyes to fire on them. There is no sense of connection that the enemy breathes, loves, and lives just as we do, nothing to make us question war itself. We've made it so much easier to kill and so much easier to wash our hands of that killing. Ironic that in a nation that prides itself on being Christian, we've collectively become Pontius Pilate. For today's Americans, who haven't had a modern war on American soil, war is a distant entity, brought home only when the wounded men and women, now saved due to advances in modern medicine, return to their families. The rest of us feel momentary sympathy for the wounded vets who return missing body parts and who are emotionally battered and damaged, but we forget them pretty soon. When we lie down in our beds, there are no drones flying in the dark over our heads. Vietnam was the last war (technically a police action) that we had to fully feel and experience. The media was filled with Vietnam. We knew that the average age of the soldiers in Vietnam was 19. We knew how many died each day. We saw their flag draped coffins on the evening news. A lot of us didn't like war and we protested against it. We flashed peace symbols, sang protest songs, and marched in solidarity against not just the Vietnam War, but any war. We have lost the urgency to prevent war or to put an end to existing wars. Our collective conscience has become as removed from the horrors of war as the remote mechanisms that we use to fight wars. War should be messy and painful. It should make us lose sleep at night. War must be atrocious enough to repulse us, to make us be willing to go to any means necessary to put an end to warfare. The automation of efficient killing makes it far easier to engage in warfare and that's the problem. A friend on Facebook, let's call him Mr. Smith, stated that he doesn't "...support paying for other kids schooling..." as he has no kids. I like Mr. Smith, but he is so wrong. Naturally, I decided to persuade him of his error in thought. It didn't work, but I put up a hell of a persuasive argument. 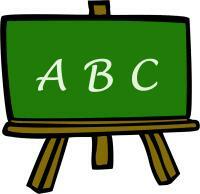 An educated populace benefits the growth of the society. We pay taxes to maintain the whole of society. No taxes, then no roads, law enforcement, traffic signals, public buildings, fire departments--the list is lengthy. We don't get to choose where our taxes are spent. I've never been arrested nor a victim of a crime, if I follow Mr. Smith's line of thought, I should not have to support law enforcement. If one lives in society then one must support the functioning of that society. Not wanting your taxes to support education because you don't have any children is a libertarian notion whether one likes that label or not. Btw, I don't have any children either. We pay for educating all children so that there will be a competent workforce to maintain the infrastructure that promotes the functioning of society. We pay for educating all children because poverty and marginalization are engendered by the lack of an education. We pay for educating all children because the mind needs nurturing as much as does the body. Mr. Smith argues that if your child attends a private school, you also should be spared from paying taxes to support public education. However, no one has to pay taxes and private school education. It's a choice you make and it doesn't mean that you get to abdicate your responsibility to pay local taxes. Generally, property and some sales taxes go to paying for public education, which is financed primarily by the individual states. Federal funding goes to Title 1 programs for children from low-wealth families, the free and reduced price lunch program, and to support some of the programs for children with disabilities who are identified as such under the Individuals with Disabilities Education Act or IDEA. The voucher movement bases its premise on the notion that they should receive vouchers equivalent to the Per Pupil Expenditure (PPE) that a state spends to educate students. The theory behind it is that the parents pay taxes but their children don't attend public school so they should get their money back in the form of vouchers. The amount of the vouchers would actually exceed the amount paid in taxes as education funding is provided not only from the money collected from property taxes and sales tax. Corporate taxes, fines collected in court cases, parking fines, and revenues from other sources all go into the state general fund, which in turn funds public education in that state. PPE for the states ranges from a low of $6,000 in Utah to a high of $15,000 in Vermont in the most recent comparison of 50 states and the District of Columbia from the EPE Research Center's Education Counts Database. The national average for PPE is just under $10,000. Those who support vouchers are asking to be paid amounts equal to the PPE in their state because they don't believe that they should have to support public education as their darlings aren't in public school. We cannot afford to entertain the notion that some of us are less responsible than others for contributing financial support to public education. It's both shortsighted and selfish. My visit to the twilight zone started with a story in the Arts section of the Washington Post. A cleaning woman in Germany did a really good job scrubbing the discoloration off a rubber trough. However, there was a slight problem. 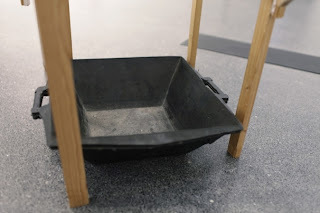 The rubber trough was a part of a modern sculpture entitled "When It Starts Dripping From the Ceiling." The sculpture, by deceased artist Martin Kippenberger, was worth $1.1 million. A reasonable price, after all the artist is dead. The dirt that she worked so hard to remove was actually a patina that had been carefully applied by hand. I admit that I'm not bowled over by a lot of contemporary art. I can see why the cleaning woman thought that perhaps the trough was just an item needing cleaning. I have an old rubber pan that I use to store gardening hand tools. I'm thinking that I should paint it, surround it with a wooden frame, and offer it to the Guggenheim. I progressed further into the twilight zone while watching ABC's Nightline after the 11:00 pm news. There was a segment on a sport with which I had no familiarity. It seems that there are parts of our country where mutton bustin' is a beloved family-oriented activity. 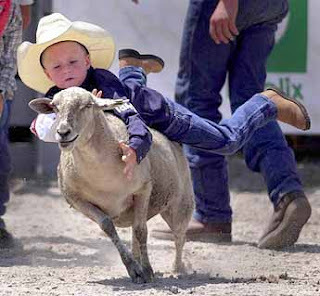 The Nightline link to the story isn't available yet but wonder of wonders, when I searched the term mutton bustin', Google found 214,000 results in 0.15 seconds. 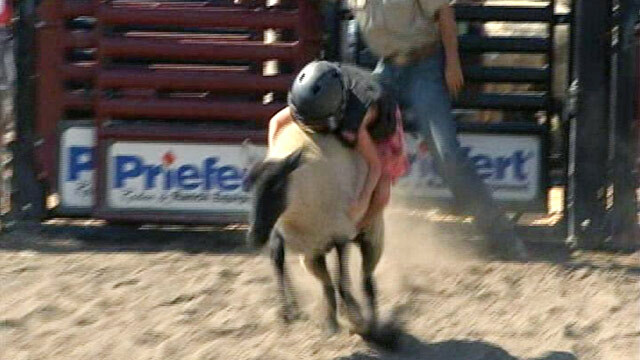 Take one child under the age of six and weighing less than 60 pounds, strap him or her into a child sized protective vest, add a helmet, then place the child on the back of a 180 pound sheep. Guess what? Sheep aren't naturally fond of playing horsey so they begin to run really fast and try to throw off the rider. The average rider lasts 6 to 8 seconds. On Nightline, some of the riders were as young as three-years-old. You may ask yourself why would a parent put their little darling on the back of a sheep for a wild ride that ends with said child falling off and eating a pile of dirt? The mothers and fathers explained that they wanted their children to be tough and it's a great precursor to bull riding. Perhaps you know a toddler with whom you would like to share this bonding activity. I left the twilight zone and landed in the outer limits while watching the Jimmy Kimmel Show following Nightline. Herman Cain needs to hire some reliable handlers; his current crew may not have his best interests at heart. I'm no fan of Cain, but even I wouldn't have suggested that he accept Kimmel's invitation to be a guest on his show. Yep, that's right, the same Herman Cain whose fourth accuser had come out of the woodwork to declare that he stuck his hand up her dress and tried to push her face into his crotch. Kimmel began the show with the interview clip showing the alleged victim and her lawyer, the ubiquitous Gloria Allred. The Cain interview consisted of double entendres, suggestive jokes, bawdy laughter, and Kimmel encouraging Cain to be ever more outrageous. I did learn one useful thing--Cain's wife is a registered Democrat. Explains why she has been mostly absent from his campaign trail.